Are You Training Hard ? 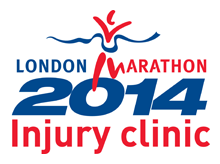 Have you developed Back Knee or leg pain while training for the marathon or sporting event? Are your muscles, joints or tendons sore after or during a run? If so, it is important that you find out the cause and learn how to fix it. At The Hatfield Practice we know the key to getting over a running injury is discovering the underlying cause of it. Providing runners with long term solutions is important to us. We will get to the root cause of your condition – beyond the symptoms, because we don’t want you to spend your life on a treatment table. With over 25 years of clinical experience you can be rest assured that you are choosing the right Practice.To discover the underlying cause of a running related injury we offer a complete biomechanical analysis. At your first assessment we will examine and identify the main factors that may cause to your injury. This may well be your training programme, general joint and or muscle stiffness, your diet / supplementation, muscle imbalances and many more subtle factors can that lead to further injuries and fatigue. We will get to the root cause of the problem. This of course will ensure you are pain free and back to running in the shortest possible time. The Hatfield Practice has a special interest in the treatment of sports injuries . Our professional and experienced team of Physiotherapists, Osteopaths , Acupuncturists and Sports Massage therapists will get you back on track fast . Our Practitioners will work together when needed if your problem is complex. We have always worked this way – We know in general two heads are better than one ! You may find choosing a treatment to start with a little difficult? Call the Hatfield Practice reception or ask to speak to one of our practitioners ? on 01707 888229 to discuss your requirements before you make an appointment. Our experienced team of Osteopaths, Physios, Acupuncturist and massage therapists at The Hatfield Practice will help you achieve your goals, be it a new PB or to treat any injuries leading up to race day.